It’s the end of week two and we’ve made great progress. 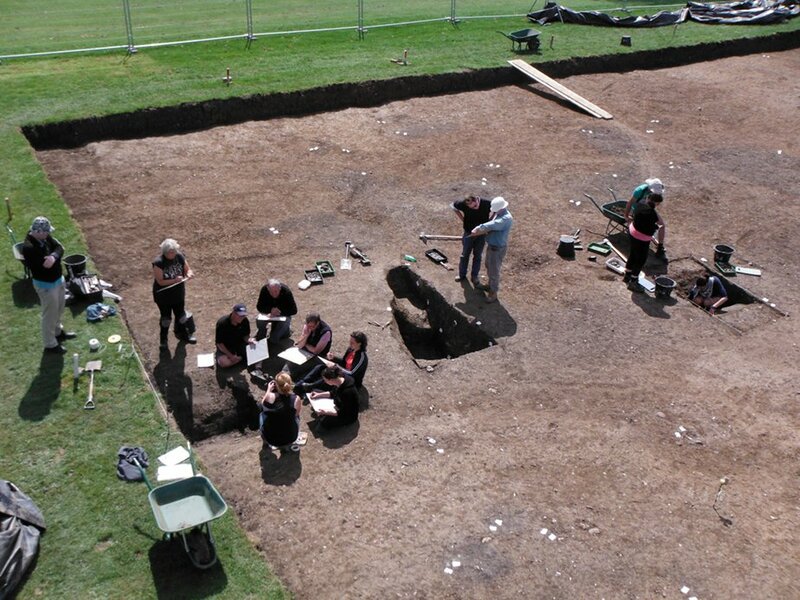 One of the most exciting elements to the excavation is the fact that we have now discovered possibly the largest Anglo-Saxon hall building in Kent, on a par with the top five largest Saxon timber halls in England. Fate has led us to place our trench so that we have the entire floor plan (the hall was not visible on the geophysics) and the sunken-featured building is just outside it, jam-packed with pottery and animal bone. In order to take these pictures, we got the photo tower up. 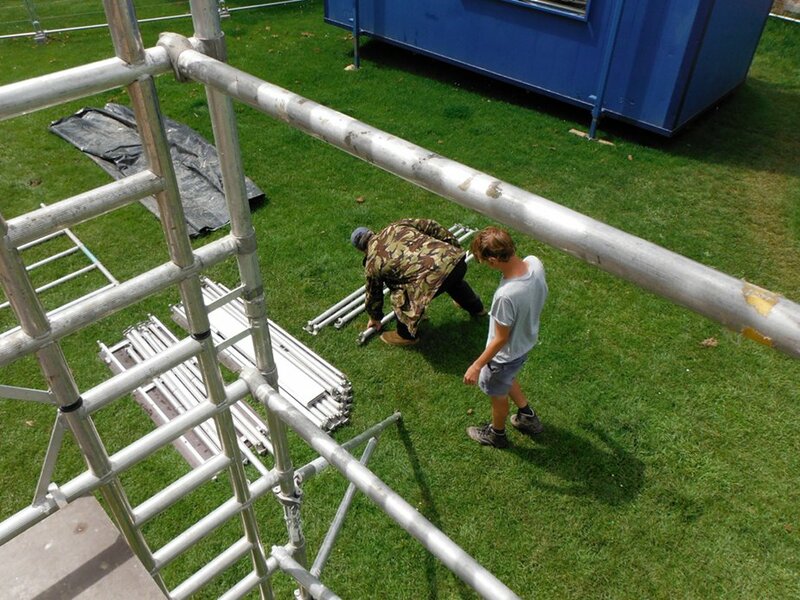 This scaffolding requires a head for heights, so Roo and I volunteered to clamber about (safely!) 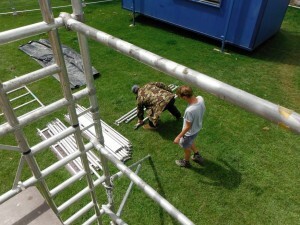 and take the photos, while those who like two feet on the ground stayed put down below. 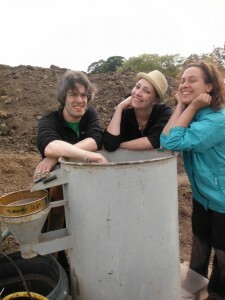 We got a lovely view at the top, and could observe the running of the site as Rosie took a record drawing class and others dug into pits and ditches. Because the hall building is so very important to the history of Kent, and indeed England, we are taking great care over it. 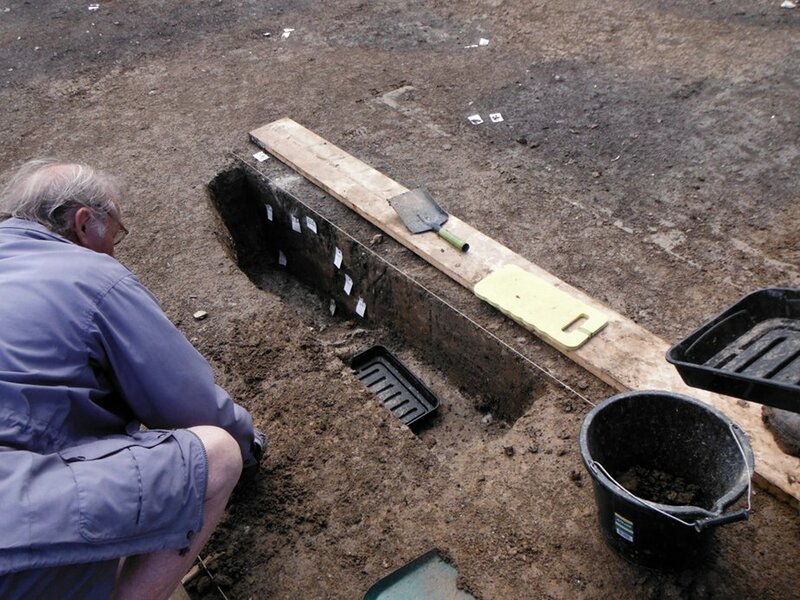 Usually we would have finished planning and got started excavating the wall trenches of the hall, but extra plans are needed and at this stage we have only put a test trench over one wall to see what kind of depth and indeed what kind of archaeology we are dealing with. Because this part is going slowly, we’ve been able to get on with the masses of archaeology over the rest of the site. The medieval pits are starting to show up lots of exciting pottery, proving unequivocally that there was occupation in the high medieval period, and certainly a Saxo-Norman presence (11th–12thcenturies AD). 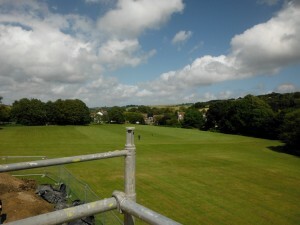 The sunken-featured building (SFB) has also been planned carefully and its excavation has begun. We are taking it down 5cm at a time, being careful to plan and record the location of all the finds. 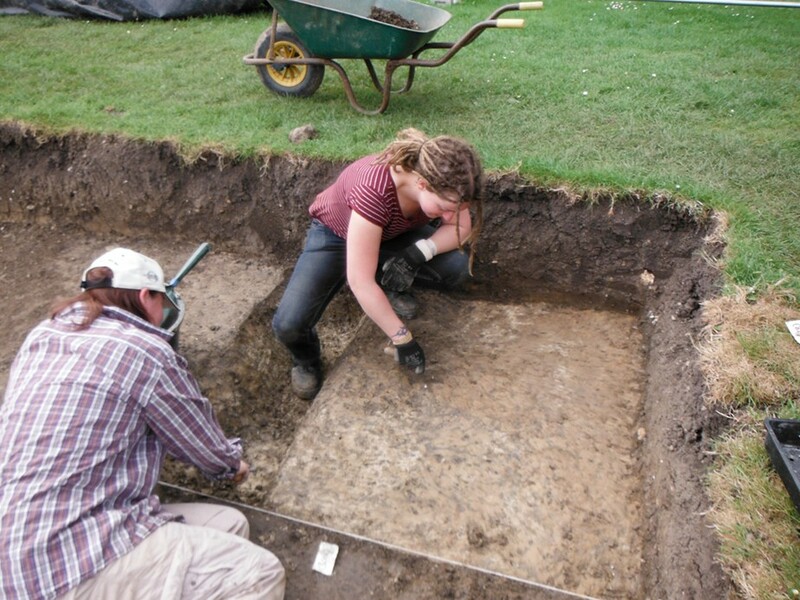 This helps us to build up a clear picture of the way in which the pit under the building was backfilled after the building went out of use, and will enable us to suggest whether any artefacts might have been deliberately placed. 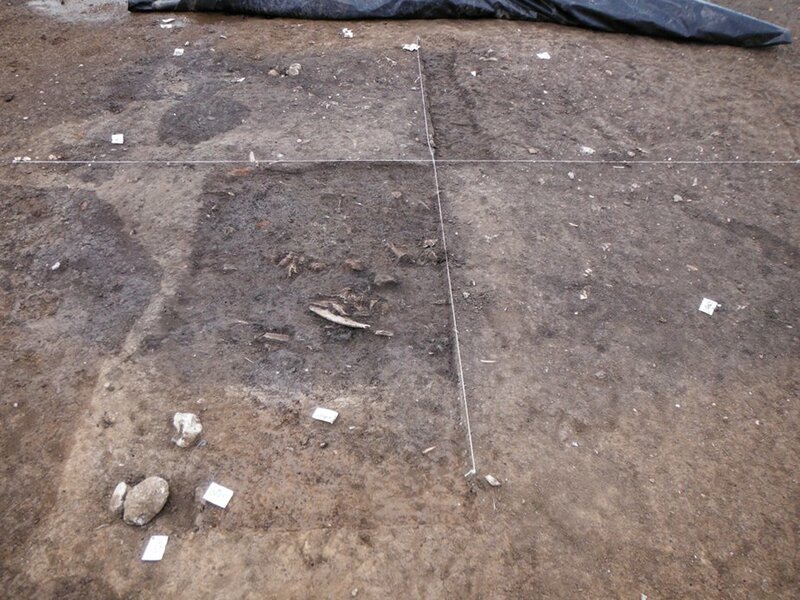 We have divided the rectangular pit into quadrants (below), and excavation begins by removing two opposing quadrants so we can easly see the stratigraphy of the SFB. 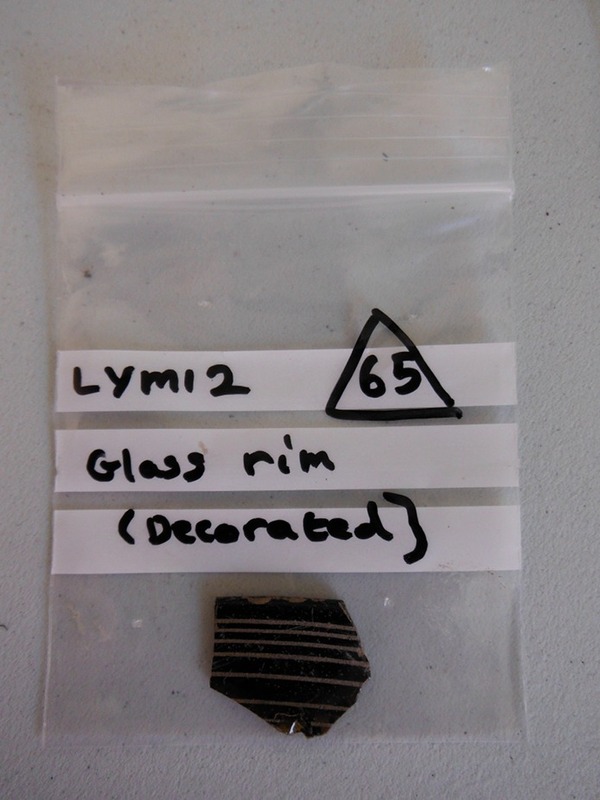 So far a great deal of diagnostic Saxon pottery has been recovered, including the handled vessel I wrote about in a previous post. 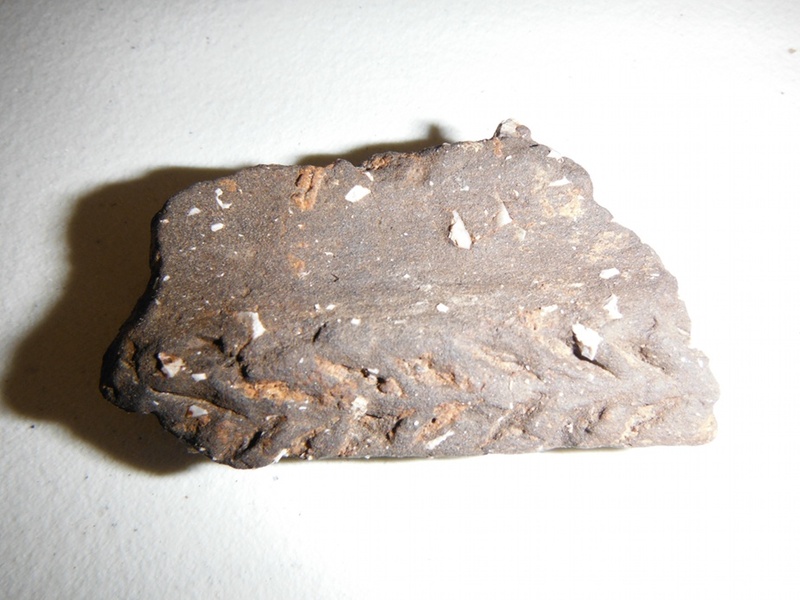 We’re always on the look out for those items that appear to have been deliberately placed and indicative of a ritual activity, such as the plough coulter from 2010, so I’ll keep you posted! This sort of evidence will help us with understanding the change from pagan practices to Christianisation in Kent. 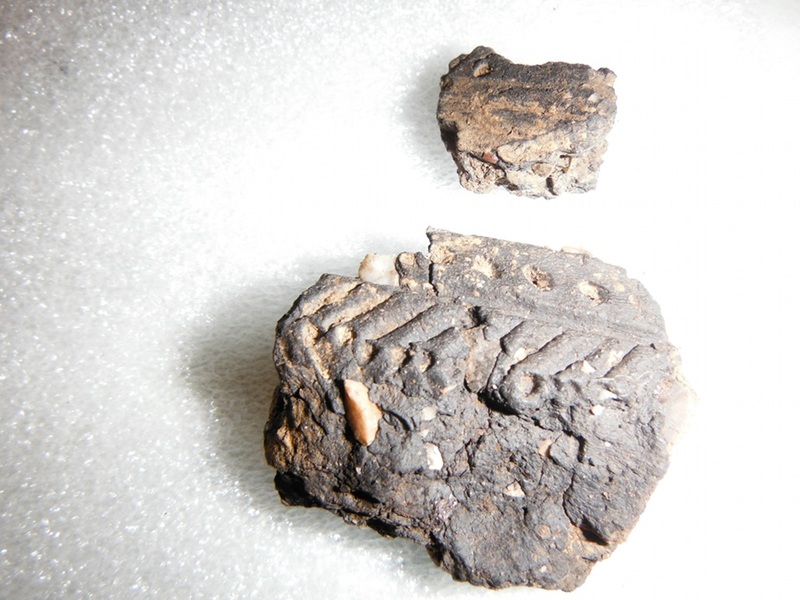 We have some extremely interesting finds coming up daily, showing the range of occupation and activity on this site. 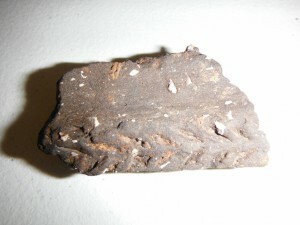 Of particular interest is the Neolithic pottery that is very rare and doesn’t survive well at all. The flash on my camera shows up the decoration rather well. 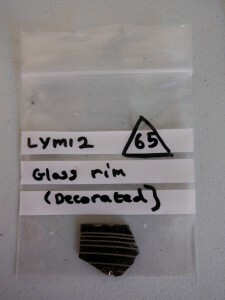 We also have another piece of what looks to be an early Saxon ware, again decorated with the chevron pattern, and some exquisite pieces of glass. 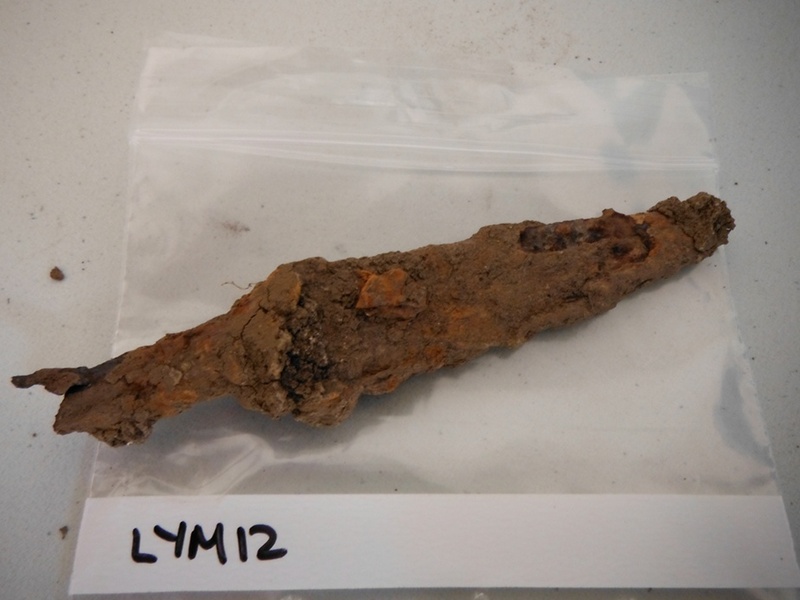 This knife is a typical Saxon shape too, so we’re definitely in the right place for the Anglo-Saxon evidence we’re seeking. The environmental sampling process is in full swing, a good place to be on a hot day, and samples are being processed as they come in. 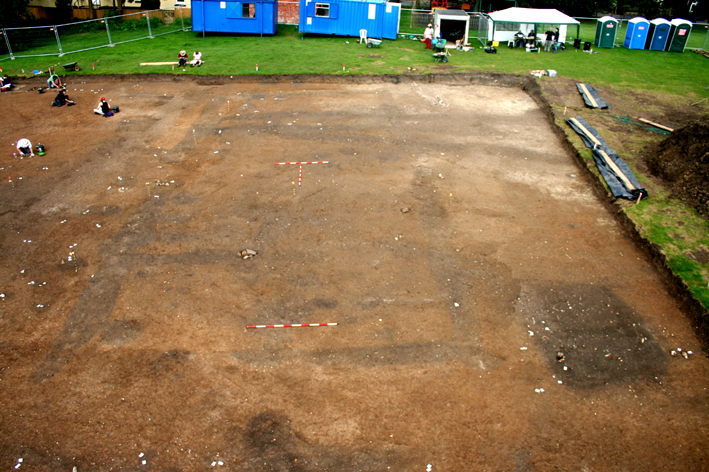 There is an enormous amount to do on an excavation of this size, and the work doesn’t stop after the digging finishes at 5.30pm! Working hard at the end of the day in our campsite office (a portakabin). L-R Gabor, Rosie, Roo and David. Note the Christmas tree to the right! Back at the campsite the team catch up on paperwork in our ‘office’ which may look like we’re about to have our Christmas party, but is a very useful space to finish up work at the end of the day, particularly when fabulous finds are coming up on a daily basis, and the ordinary paperwork and every day running of the site gets left behind in the excitement of excavation. I also need time to write the blog! As we get down into the wall trenches of the timber hall and the lower layers of the SFB I’ll keep you all posted about our progress dates and finds that are associated with it.